Tuesday's announcement of a nuclear agreement with Iran is giving new hope to the people who want Washington Post correspondent Jason Rezaian released from an Iranian jail cell. 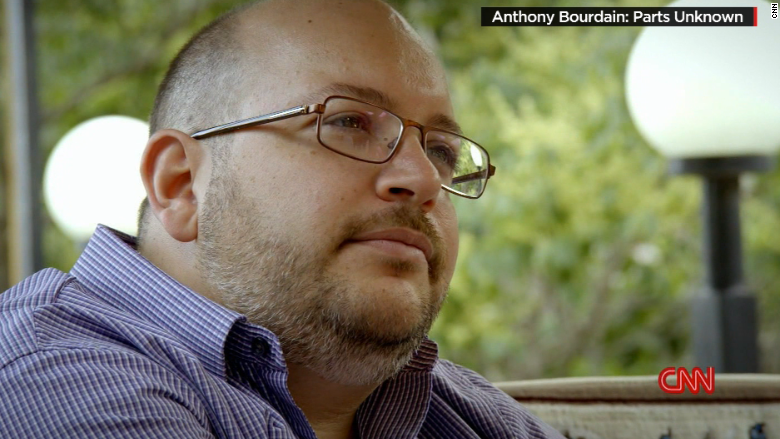 Rezaian's brother Ali said Tuesday that Jason "should be reporting on the details of this agreement rather than being subjected to continued incarceration and delays in the judicial proceedings." Rezaian, 39, has been detained in Iran for nearly a year despite an international outcry. The Post has called his treatment "simply appalling" and refuted the espionage charges against him. On Monday, as Iran and the United States prepared to announce the long-awaited nuclear accord, a third hearing was held in the trial against Rezaian. His family members have not been allowed to attend. "We hope that with the deal now in place, the Iranian courts will move swiftly to conclude this process and allow Jason to return to his family," The Post's executive editor Marty Baron said Tuesday. On the Post's web site, below the big headline reading "Historic Iran nuclear deal reached," another headline noted, "Despite breakthrough, no change for detained Post journalist." Baron said in an email message that he was aware of no new updates from U.S. officials on Tuesday. Rezaian holds dual American and Iranian citizenship. In recent months there has been speculation that Rezaian and other detained Americans in Iran may gain their freedom after a nuclear deal is reached. U.S. Secretary of State John Kerry mentioned the cases on Tuesday, but did not bring up Rezaian or the others by name. "We continue to call on Iran to immediately release the detained U.S. citizens," Kerry said. "These Americans have remained in our thoughts throughout this negotiation, and we will continue to work for their safe and their swift return, and we urge Iran to bring our missing Americans home." After the announcement on Tuesday, Baron renewed his call for a "fair and impartial judgment in Jason's case, one that could only result in his acquittal and immediate release." Rezaian's brother Ali did the same thing. He called Iran's treatment of his brother "cruel and illegal" and "inhumane." On CNN's "Anderson Cooper 360" on Tuesday night, Ali Rezaian said the trial delays are "illegal" by Iranian and international standards. He expressed guarded optimism that the trial will end in the "next week or so," but said no new hearing has been scheduled. Ali Rezaian was recently in Vienna, Austria, where officials from Iran, the U.S. and other countries were negotiating the nuclear accord. He told Cooper that "we've tried to talk with the Iranians a bunch of times; they haven't wanted to talk with me." But the Rezaian family has been in "close contact" with Kerry's State Department, Ali Rezaian said, noting that diplomats brought up the detained Americans during the discussions with the Iranians. "My hope is that with a deal being done, that those discussions don't end, and that they escalate," Ali said.